Figuring out how to pay for long-term and expensive medical care is a stress and concern for millions of Americans. Seniors, though, are at a much higher risk of needing this type of intensive care within a relatively short time frame due to the infirmities that come with aging. Medicaid is one answer to this pressing concern, but this process can be complicated by the frequent need to enter long-term care facilities, particularly nursing homes, somewhat abruptly following a serious injury or illness. Few people can or want to pay the high costs associated with living in a nursing home, which if not at least subsidized, will quickly drain a person’s savings. 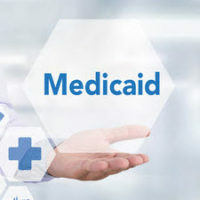 Applying and qualifying for Medicaid takes time – weeks, and sometimes, months, and the nursing home costs that accumulate while an application is pending can cripple the finances of a family if Medicaid does not pick up the bill. Currently, Florida allows Medicaid recipients to receive up to three months of retroactive benefits to cover the period between filing the application and approval, but the applicant must have been otherwise financially eligible for those months. A discussion of the eligibility requirements of Medicaid, and what happens if one is denied benefits, will follow below. $2,250 per month in income for the applicant, and $2,000 for the applicant and $120,900 in countable assets for the non-applicant spouse. the applicant’s primary home, which can be valued up to $840,000 as long as the applicant or his/her spouse live there. If an applicant exceeds the income or asset limits, he/she will be ineligible for Medicaid assistance, and will have to use the excess resources to cover the costs of nursing home care, including selling assets and funneling the money to nursing home bills. This situation puts a huge burden on an individual’s spouse and children, and will likely result in the person’s lifetime savings being exhausted. However, working with an experienced elder law attorney experienced in Medicaid law can avoid this outcome through advanced planning that takes advantage of annuities, special needs trusts, and transfers between spouses to protect one’s assets from depletion. Further, an individual can also spend down assets on certain items, such as pre-paid funeral plans, to maximize the value of their reserves. An experienced elder law attorney is best suited to advise on Medicaid planning, which differs by age, asset/income levels, and marital status. Medicaid planning is complicated, and the more in advance it is done, the greater the protection provided to you and your family. William Rambaum has intimate knowledge of the Medicaid laws and regulations, and is available to help preserve your legacy. Contact the Oldsmar law firm to schedule an appointment.